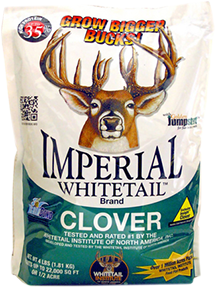 Stays green all year long and will provide your deer ultra high levels ofprotein (25-30%). Can last up to 5 years without replanting, saving the time and expense of planting every year. With the "Golden Jump Start" additive it is the fastest growing clover on the market. 18 lb bag covers 2.25 acres.